Market Day at Great Yarmouth Market07917 587029work MarketMarket Days take place in Great Yarmouth on Wednesday and Saturdays throughout the year plus Fridays from Whitsun to the end of October when the cobbled market place to the north of the covered market is occupied by many other traders who arrive in town to ply their wares, with a large range of additional goods, including silver jewellery, DIY tools and equipment, toys, games, mobile phone accessories, ladies and gents fashions, pet beds and blankets, bird food and garden accessories. Market Day also includes Fridays from May to September. 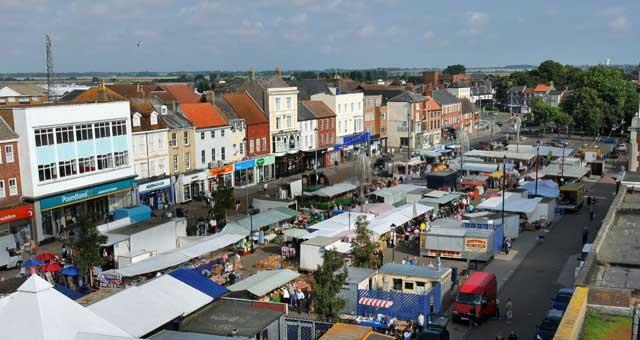 Great Yarmouth has been a market town since the early 11th century and the historical market place which covers an area of approximately 5400 metres in middle of the the town centre is thought to have existed prior to the granting of the King John Charter in 1208. 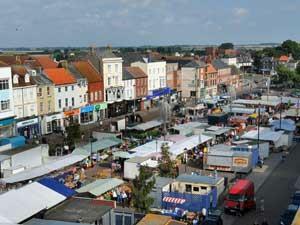 Market Days take place in Great Yarmouth on Wednesday and Saturdays throughout the year plus Fridays from Whitsun to the end of October when the cobbled market place to the north of the covered market is occupied by many other traders who arrive in town to ply their wares, with a large range of additional goods, including silver jewellery, DIY tools and equipment, toys, games, mobile phone accessories, ladies and gents fashions, pet beds and blankets, bird food and garden accessories. Market Day also includes Fridays from May to September.